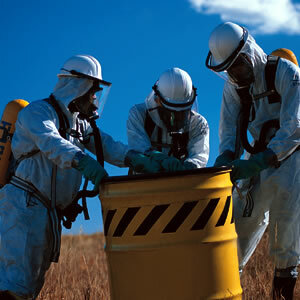 Microtech Environmental Services Corp. has been the leader in Hazardous Waste Management since 1992. We service the Metro New York, New Jersey and Connecticut area. If you’d like, Microtech can coordinate your waste disposal transportation logistics. We would include signature-ready waste manifests for the reporting, tracking, and shipping records to avoid fines. The toxic waste and substances are neutralized and eliminated to help ensure the safety of your coworkers, reputation, and local community. We also restore your IAQ (Indoor Air Quality) to a healthy state. Characteristic Wastes: EPA determined hazardous wastes. Characteristic Waste is usually corrosive, ignitable, reactive (explosive or poisonous when mixed), and/or toxic. They are segmented into F-list (manufacturing and industrial), K-list (specific industries waste), P- and U-Lists (commercial chemical products). Exposure to hazardous materials could be lethal. Medical problems could include cancer, behavioral abnormalities, disease, genetic mutation, physiological malfunctions, and physical deformations. Unborn children and infants are most susceptible. Exposure can be inhalation, ingestion, and tactile. Extremely Hazardous Waste requires calling “911” so specialized emergency response teams to be dispatched first before cleanup and removal. There are 3 types of extremely hazardous waste: CBRN (weapons), ATSDR (chemical spills), and IDLH (airborne). CBRN (Chemical, Biological, Radiological and Nuclear) are weapons and devices used as Weapons of Mass Destruction or WMD. They require NATO (North Atlantic Treaty Organization) to be notified and dispatched with specially trained personnel to investigate and remove the threat first. Usually there is a MOS (Military Occupational Specialty) code which identifies the job. CBRN Explosives (CBRNe), CBRN Defense (CBRND), CBRN Event (CBRNE) are other common terms used. ATSDR (Agency for Toxic Substances & Disease Registry) Emergency Response Teams assist in an emergency situation that involves environmental extremely hazardous substances, such as chemical and oil exposure. Typical team members are toxicologists, physicians, and other scientists. IDLH, Immediately Dangerous to Life or Health, involves deadly airborne contamination with permanent health problems. HazMat is short for hazardous material, which makes up the hazardous waste. Hazardous waste is any solid, liquid, sludge, infectious, or gas waste, which has the potential to cause harm to humans, animals, or the environment. The waste can be biological, chemical, or physical. Biohazard or biological hazard is an infectious disease microorganism (biological agent, pathogen), which is harmful to humans and animals. Biological research, experimentation, hospitals, medical facilities are common places to find them. HAZWOPER is the acronym for Hazardous Waste Operations and Emergency Response, which requires immediate action and specialized training. We have technicians that have received the specialized additional HAZWOPER training and certification. The opposite of hazardous waste would be solid waste, which has no short term health or safety hazard and any employee could clean up. Hazardous Waste Management is also called Bioremediation, Biohazard Cleanup, Biological Hazard Cleanup, Hazardous Waste Disposal, Universal Waste Management, Toxic Waste Management, Toxic Waste Disposal.